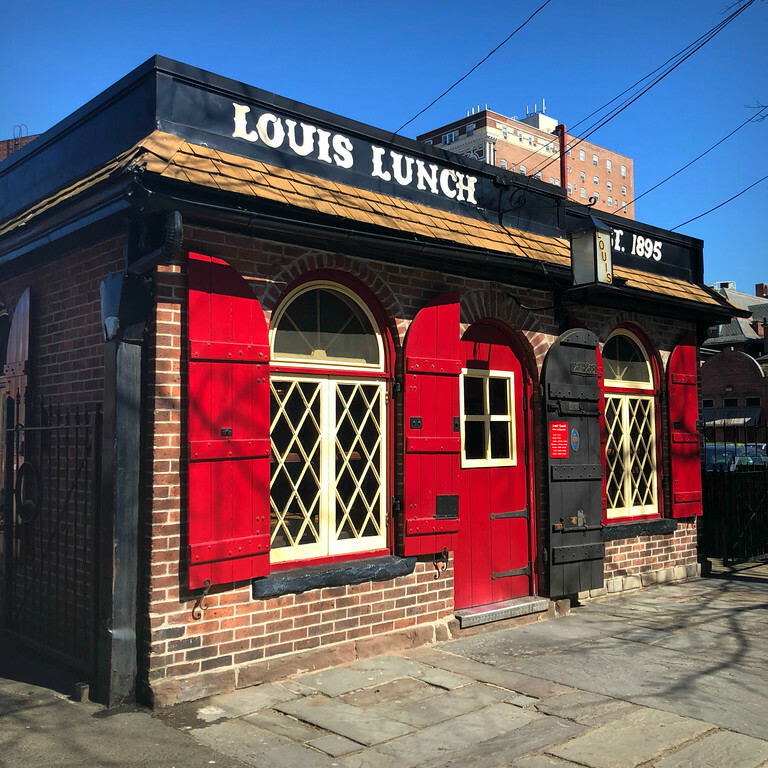 A few weeks ago, Kenny and I stopped by Louis’ Lunch, “the birthplace of the hamburger sandwich” in New Haven, Connecticut. A joint that’s been slingin’ the same patties since 1895 must be doing something right, right? I figured it was worth a look-see. While the burger wasn’t my thing, I loved the potatoe salad. 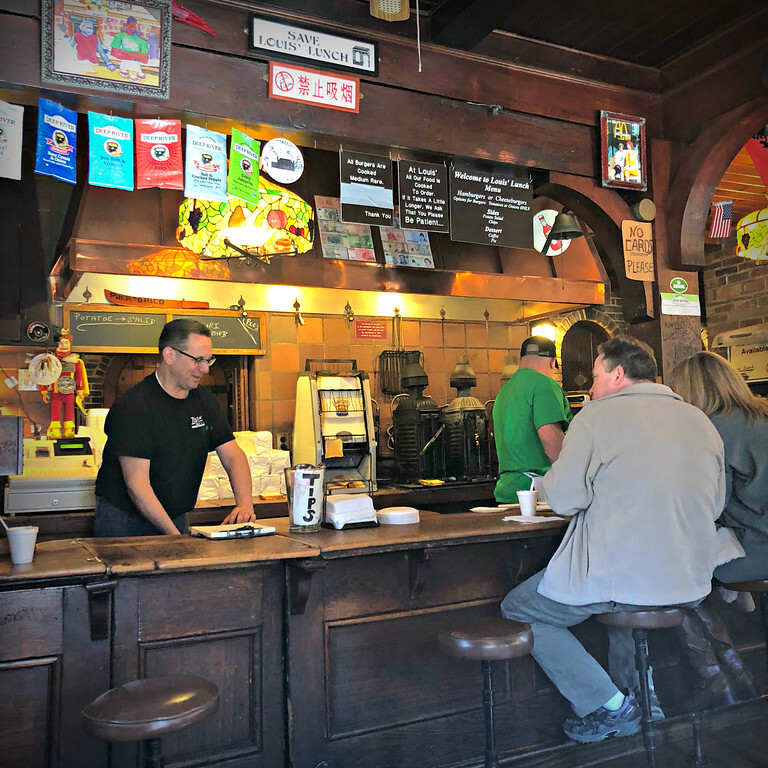 And the ambiance can’t be beaten if you’re interested in nostalgic eateries. Watching their throwback toaster and their burger broilers in action is a unique experience. The restaurant is small and I’ve read the line can be out the door and the wait for food, quite long. Kenny and I lucked out, walking right up to the counter to order. But while we waited for our noms, the place filled wall-to-wall in a blink. Know before you go: Cash only and you get the burger their way. 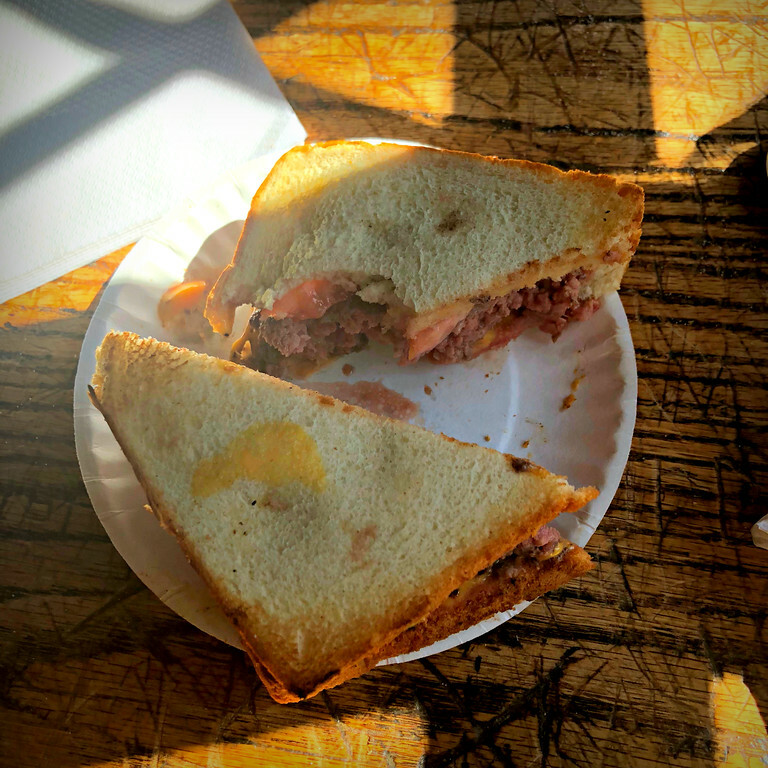 It’s served on white toast, medium-rare, with the choice of the following toppings: cheese, onion, and tomato. Don’t even think about asking for ketchup or fries, you will be killed. Cute place. Can tell it’s small from the exterior shot. I remember watching that episode on TV. It sounds like an interesting place and I thought the broilers looked pretty cool. Obviously, very durable. Out of curiosity, was it spelled “potatoe salad” on the menu?